What’s involved with volunteering at HandyCon? 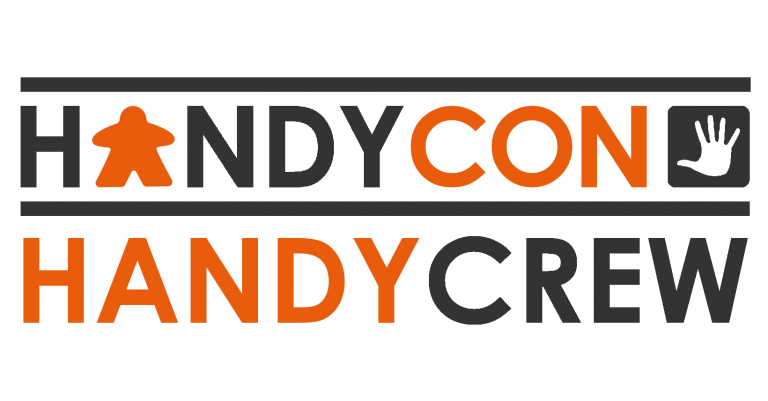 Volunteering at HandyCon could involve helping set up/tear down, checking in attendees and running the front desk, helping with tournaments and events or even just being on hand to help solve issues that arise. Due to the work being quite varied, we will make sure all volunteers are comfortable with their role and provide the appropriate training when required. If you have any questions or concerns about volunteering please get in touch with Dan. We are looking for people with a passion for gaming to help promote a helpful, friendly and inclusive atmosphere at the con. We also are currently only looking for people who can commit to volunteering for at least 6 hours over the course of the convention. Please note that to volunteer at HandyCon you must be at least 18 years of age. Set up: Thursday 15:00 – 19:00. During the Convention: Friday at 09:00 until Sunday at 20:00, between 09:00 and 20:00 each day. Tear down: Sunday 20:00 – 22:00 and Monday 10:00 – 14:00. This is likely to be comprised of three or six 2 hour shifts but shifts could be combined or split if required. We also require volunteers to attend a short induction/training session depending on the role they are assigned. This is likely to be on Thursday evening at around 8pm. 6 Hours: 1 x HandyCon Volunteer T-shirt to take home. 12 Hours: 3 Day Entry Ticket, 1 x HandyCon Volunteer T-shirt to take home. Purchase your entry ticket (if you have not already done so) and fill our or HandyCrew questionnaire by clicking on the ‘Apply Now’ button below. Volunteers who qualify for a free 3 Day Entry Ticket will be reimbursed within 14 days of the final day of HandyCon. HandyCon 5 HandyCrew applications have now closed. When will you get back to me? Once we hit the deadline for volunteer applications we will get back to everyone who has applied and let them know if they have been assigned shifts. We will ask you to confirm to make sure you are happy with the roles you have been assigned. What should I do if I can no longer volunteer? Let us know as soon as possible via email so we can make arrangements to cover your shifts.